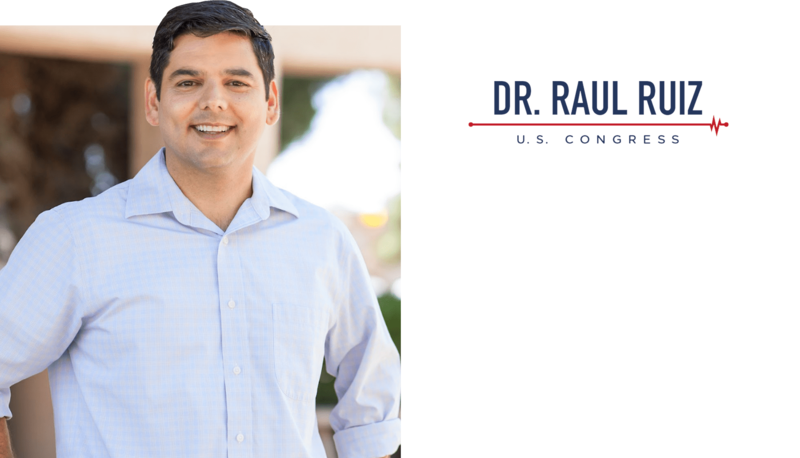 The son of hardworking farmworkers, Dr. Ruiz grew up in Coachella, CA and learned at an early age that the key to attaining the American Dream is hard work and a great education. In the summer of 1990, Raul walked in the desert heat from business to business in the Coachella Valley asking them to invest in their community – by contributing to his education. With each investment for college, he made a promise to come back home and serve his community as a physician. While Washington remains gridlocked, I am committed to serving and helping constituents with the problems they have with the federal government and cutting red tape. I’ll never forget I work for YOU, I and my staff are ready to help. I have spent my time in Congress standing up for seniors by fighting to protect and expand Medicare and Social Security. It’s a promise I made when I first ran and it’s a promise I have kept. [message] => The election results are certified and final! We won by an 18-point victory thanks to our volunteers and voters who chose to support our positive, values-based campaign over false attacks. I look forward to passing more legislation into law, fighting to protect and expand Medicare and Social Security and standing up for our veterans, small businesses, students, and middle class families. It is an honor to serve you - thank you!